If the rating system for this recipe was 1 to 5 stars; I would rate this a 10. It is absolutely delicious and will be perfect for your holiday table!! It is very easy to make (doesn't even take an electric mixer) and yet it is unique enough for gift giving. 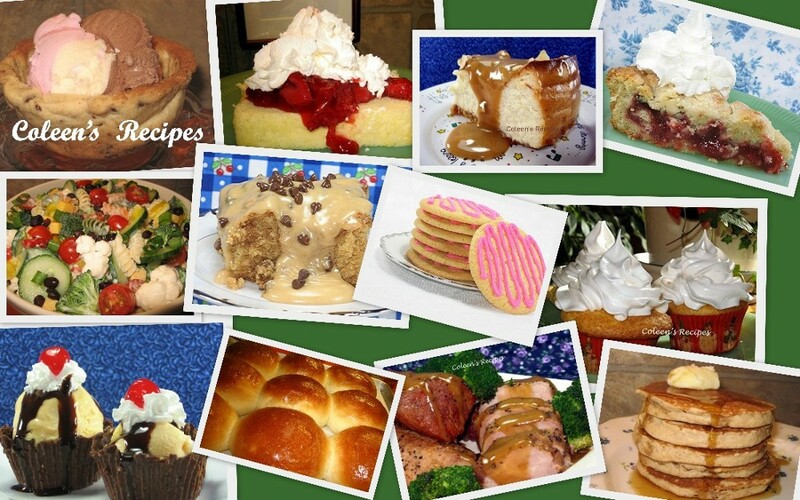 I hope you try it, it is SO GOOD... extremely moist, total comfort food!!! Whisk the first bowl (with the flour in it)until the dry ingredients are well mixed. Whisk the 2nd bowl (with the pumpkin in it) until WELL mixed and oil is completely incorporated. Pour the wet into the dry and mix with spoon just until moistened. Stir in cranberries gently. Pour batter into prepared loaf pans. Bake 60 to 65 minutes (my oven took 70 minutes). Cool (in the pans) for about 10 minutes, then turn them out. Wrap the hot bread IMMEDIATELY in plastic wrap, covering tightly. Let the breads cool completely in the wrap. NOTE: Make sure you use a 15 ounce can of plain packed pumpkin and NOT pumpkin pie filling (big difference). NOTE: Recipe calls for ½ cup of orange juice, which I didn't have, so I used pineapple juice instead. NOTE: Wash and sort your cranberries. Try to use the darkest berries. Make sure they are thawed out before mixing into batter. NOTE: It is OK to put the plastic wrap on the hot bread as soon as it comes out of the pan. This forces the moisture back into the bread as it cools. NOTE: My oven took 70 minutes to cook these loaves. Use the toothpick test to determine doneness. Pumpkin and cranberries: two great ingredients. They look great. Thanks. Ohh these look great! 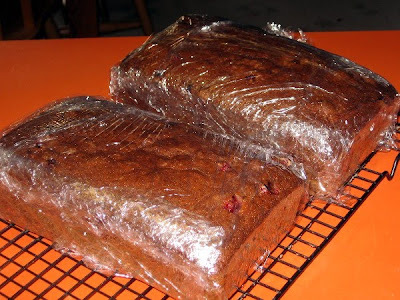 I wish our local cranberries worked as well as real cranberries in recipes. Thanks for linking up to Just Another Meatless Monday, I love this recipe. Amazing looking bread, Coleen. I love the combination of pumpkin and cranberries. Colleen yours looks scrumptious. It is funny we both posted about the same recipe. I love the addition of cranberries in yours. Yum! This recipe is a keeper! Guess what I'll be making soon? Grins!! I love these kinds of breads and will definitely be trying this. Thanks! I can see how moist the bread is! I've got some pumpkin with this recipe written all over it! Thanks Coleen! And it's pretty too! 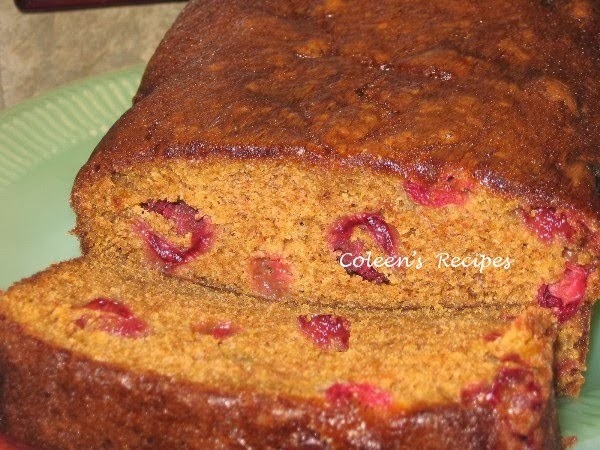 I love pumpkin and cranberries so I'm sure this would be awesome. Made it, loved it, linked to you! HUGS!! !